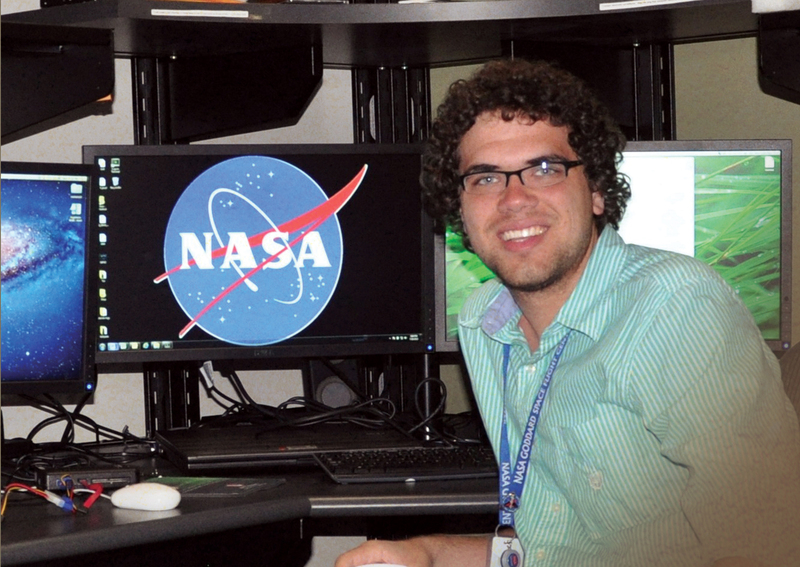 Truman student Nick Spear’s childhood dream was to become an astronaut. Although he doesn’t see himself on a trip to space anytime soon, Spear discovered that an internship with NASA in Washington, D.C., last summer provided a nice compromise. Nick Spear, a math and computer science major, landed a summer internship working with NASA’s Computer Crimes Division. Spear’s previous experience in researching tools and techniques for detecting infected computers helped prepare him for his internship with NASA. Spear worked in the NASA Computer Crimes Division during his internship. CCD special agents research various cases of computer crimes, ranging from a single employee searching inappropriate content to vast networks for malware that cause problems all over the world. After an agent began a case, Spear’s job was to help out by doing forensics on computer drives, calculating the cost that NASA incurred from the crime and building new systems for the office to use. The East Coast CCD helped Spear gain a great deal of technical experience, which he believes will be useful for his future goals. Spear said that the employees at the NASA CCD each had their own diverse working style. This helped him see different perspectives on how to get a job done, which aided him in learning the trade. During his summer internship, Spear was invited to return to the NASA CCD for a second summer of work. He is currently looking at graduate schools in the Washington, D.C., area so he can continue working for the CCD while completing his school. As far as plans after graduate school, Spear is keeping his options open. This entry was posted on January 14, 2014 by tmiles.